We rely on generous people to make our mission a reality. Every dollar counts as the cost of equipment varies greatly from country to country. A good ball that may cost $6 in Mozambique, could go as high as $80 in Fiji. Every dollar is used to buy balls & sports equipment. You can also donate through PayPal. This option allows for specific project donations, onetime & monthly recurring giving. Thank you for helping Ball Project to help children play. Ball Project is a registered 501(c)3. Donations are tax deductible to the full extent of the law. 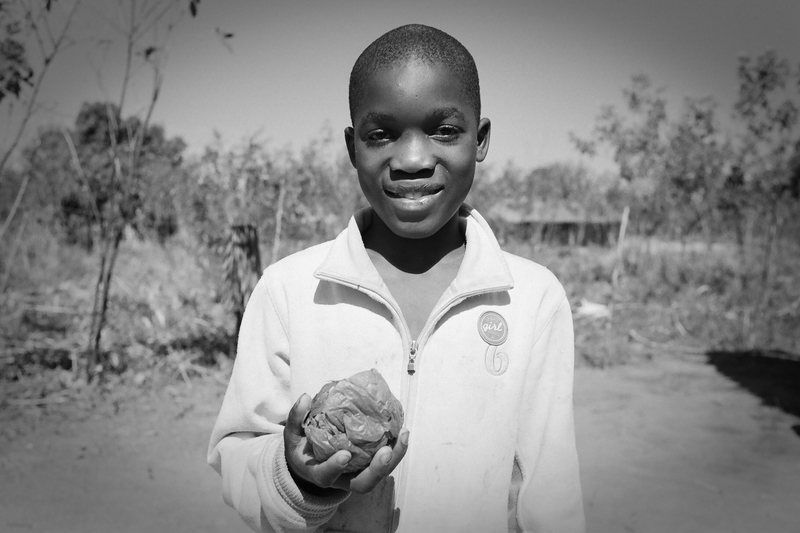 A young boy in Mozambique shows off his plastic bag ball. Most kids in developing nations use balls like this.